With special guests Midnight Gallery. 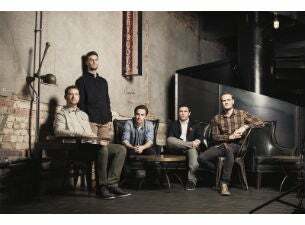 Tahuna Breaks are set to celebrate their 10 year anniversary with a one off Auckland Show at one of New Zealands most iconic venues: The Powerstation. This September the band will revisit their back catalogue and perform a longer set to accommodate a selection of songs from all three of their albums: Reflections, Black Brown and White and Shadow-light, as well as new single ‘Hold You’. To help celebrate the occasion the band will be recording a live album on the night and performing with an expanded line up including full horn section and backing singers with support from Midnight Gallery. This will be the bands only Auckland show this summer before they return to the studio to record their upcoming 4th album.